Tibia is ranked among the greatest games in the MMORPG games and at the same time, is the oldest multi player game found online. With this kind of game, the player is exposed to adventure, as they seek to solve riddles and go through heroic exploits either as knights, paladins, sorcerers, druids among others. The game is also chat enabled which gives players the opportunity to interact with other players and share more on the different levels of the game. Set with different levels, the manner in which a player tackles the challenges they face to a large extent determine how well off they come out in the game. 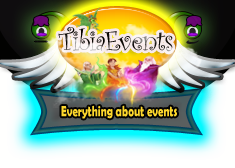 There are several Tibia items which can be won by using the right strategy and as such, knowing how to go about the game is ideal. For starters, if you want to get Tibia money, then you have to brace yourself to destroy the monsters in the game. This is no easy feat since there are several difficulties that you have to overcome and as such, you have to employ a high level of strategy and skill. It is ideal to note that though killing all sorts of monsters can get you cash, killing more rotworms ensures that you get the highest amount. In essence, they give an average of 32gp and when you translate this, it turns into great amounts of Tibia gold that you need to advance further in the same. There are some magic spells that can be used to attain this end and for this reason, you have to learn them too. Factors such as these make this a game of wits and tactics and unless you can learn how to exploit such, you will not be winning any of these items. Regardless of what level you are on, it is ideal to note that it is imperative to know some of the magic spells which can be used to teach you the basics of the game. What is more, you are a beginner; this is imperative since it is the only way through which you can get ammunition, light and food. As you advance to different levels in the game, you get more magic spells and abilities factors that are a necessity in this game. The best place to collect such as Tibia money and Tibia gold is online. However, ensure that as stated earlier, you confirm if the store you are getting the game from is authentic. Hi to everyone, is my first post here on the blog and I want to invite you to gift me a like on my photo on the 7th contest realiced by tibia addicts fb staff. 1. Like on the fb page of "Tibia Addicts"
Who else misses old school tibia? Tibia these days is nice and all, but in my opinion, not at all what it used to be. It used to be challenging, rewarding, hard, and super fun. It felt like the wild wild west. Rewarding at times, but you were really free to do whatever you wanted - mostly anyway. Someone annoyed you, you could kill them. Anyone. You can do this still, but there are much more restrictions in place. Back in Tibia 7.1, there wasn't even a skull system. It might have sucked at times, but it was still really unique and a fun experience. In tibia 7.1, only gms could stop you from killing everyone you could - but they did. There actually were active gms. Back then the internet was fairly new, so people didn't bot simply because there were none available. Later some bots did become available, but the official team of tibia handled them the wrong way. They gave everyone aimbots! I mean really? That's like limiting theft at your store by just handing everything out for free. This was the first big mistake, and while tibia isn't horrible these days, I still miss the good ole days. They really were good, it's not just nostalgia. The point that it is not nostalgia is proven by the fact that many unofficial old school servers, like scorpionot, are still active and doing quite well, even though there's really no one to promote the game at all and most of the old players have probably moved on. Rarely is an older version of a game better, but with tibia, i truely feel like it is the case.